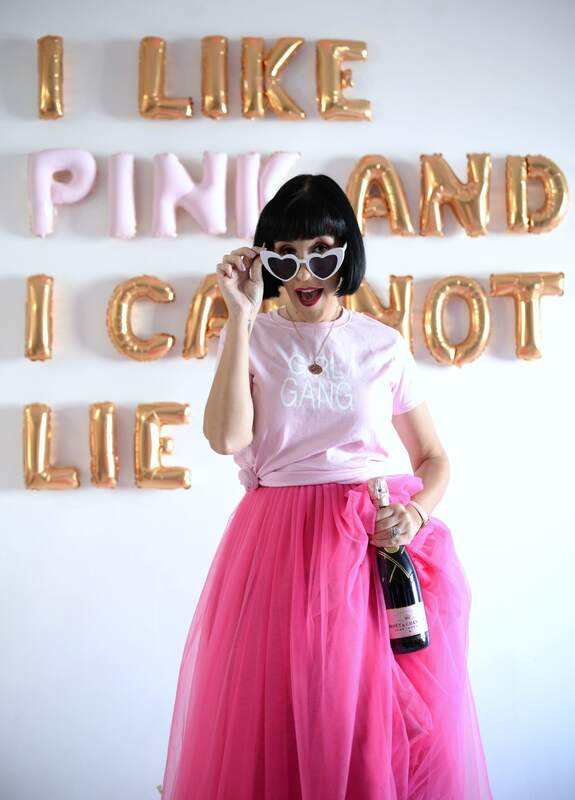 With springtime just around the corner I’ve been looking for a few new fragrances that are light and airy but don’t have the hefty price tag of a full size bottle of perfume. Pacifica has the answer for me; it’s formulated with ingredients your skin wants and full of natural ingredients your skin craves. Pacifica skin care is 100% vegan and made without animal testing, phthalates, parabens, sulfates, propylene glycol, benzene, GMOs, mineral oil, peanut oil, and triclosan (and other ingredients you do not want). I know what you’re thinking… all these vegan products are always so expensive, but that’s where you’re wrong. Pacifica has you in mind when creating new and innovated products while trying to keep their products affordable to everyone. Pacifica is always thinking of the environment; their goal is to have zero product-manufacturing waste in their factory and they recycle and use post-consumer materials (boxes are all 100% recyclable). I love anything vanilla and when you add coconut to it, it’s the perfect mix. Pacifica Indian Coconut Nectar has the right amount of coconut and the delicate creamy vanilla inspired by travels to a faraway destination. It reminds me of being on the warm sunny beach in the Caribbean every time I smell it, it’s like a mini getaway right from the comfort of home (we can all dream) right? 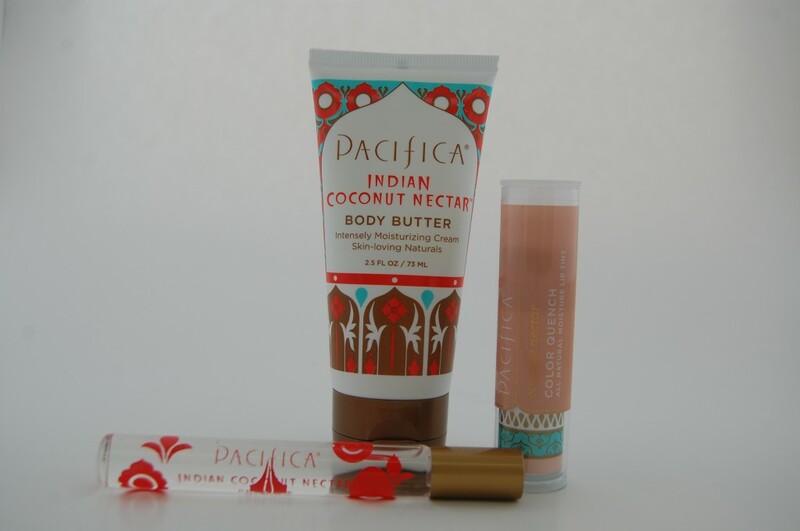 Are you lucky enough to go away, Pacifica “Take Me There Set” is portable, mini and full of fragrance for any holiday you may be going on? Each “Take Me There Set” contains a purse size 2.5oz Body Butter, a .33oz Perfume Roll-on and a delicious Color Quench Natural Moisture Lip Tint. The highest quality ingredients including essential and natural oils from all over the world are packed into each product, you’ll sure to fall in love as much as I did and all for only $18. The Body Butter has now found a new home in my purse; it’s the perfect size. It absorbs quickly into my skin so it’s perfect for when I’m on the go. 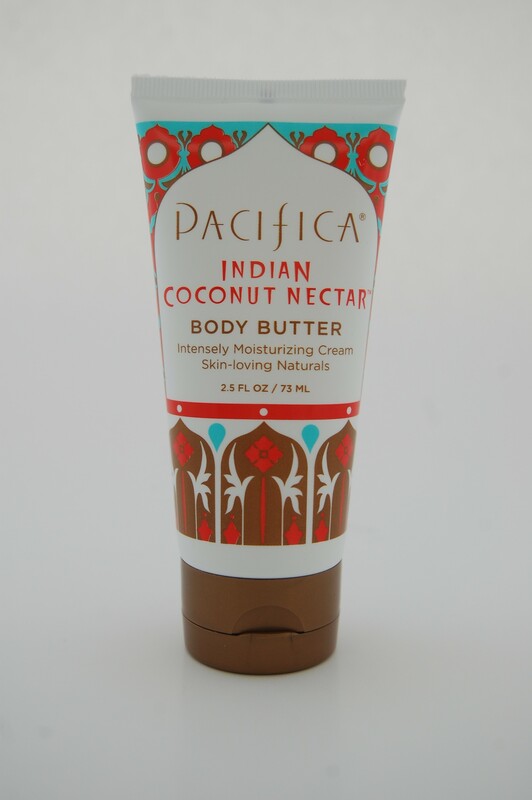 It leaves my skin silky smooth with a yummy scent of coconut and vanilla that lasts all day, perfect for those days when you don’t have the time to re-apply your perfume. 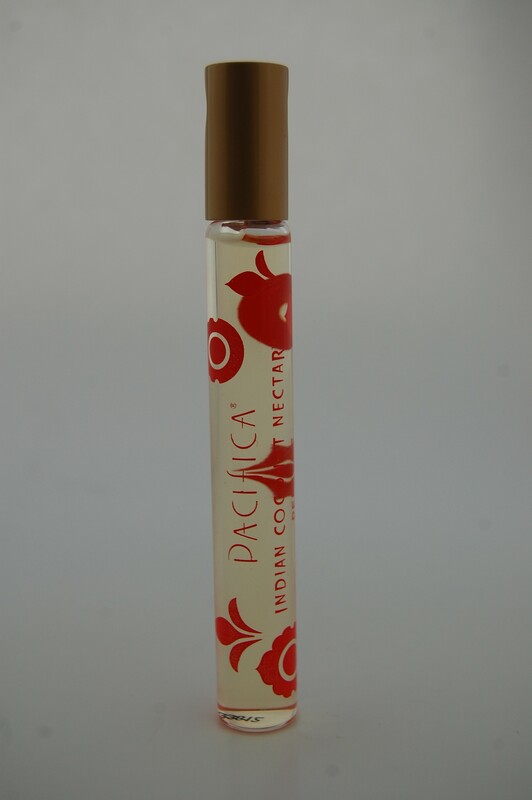 Pacifica really captured the scent of vanilla & coconut in their roll-on perfume; don’t expect that nasty chemical scent with only a hint of vanilla bean scent like you get in some less expensive brands. This perfume is the real deal. 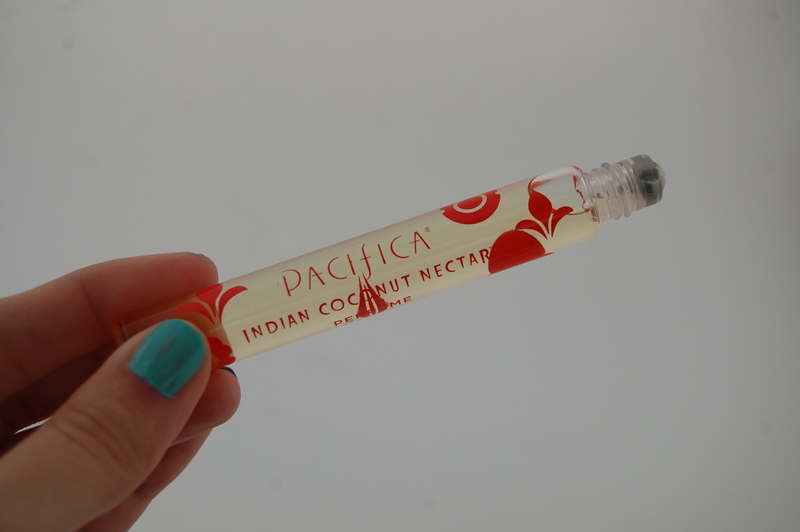 Pacifica only uses pure-grain alcohols (corn sourced and gluten free) and essential oils, making it an all-natural product; you can really smell the difference in good quality ingredients. 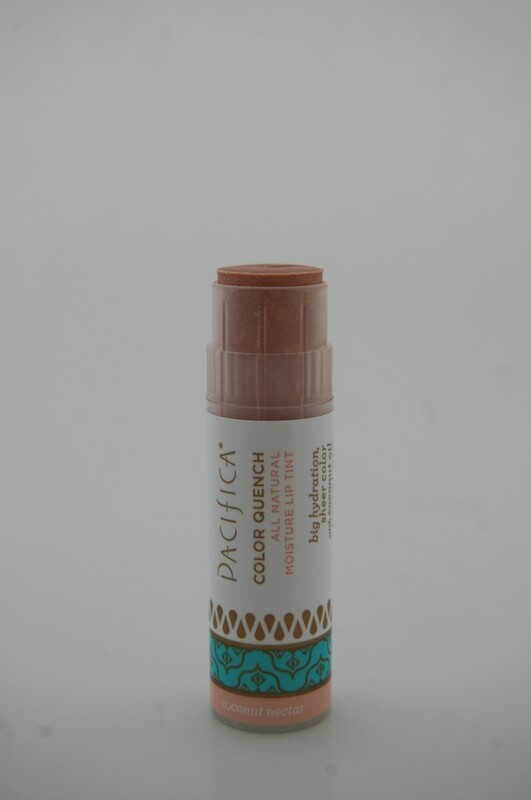 Pacifica wasn’t messing around when they made their Color Quench Natural Moisture Lip Tint, it’s huge! This lip balm is super hydrating thanks to the essential fatty acids from avocado and coconut oils, which helps leave your lips luscious and healthy. It adds a sheer wash of color to your lips with a little shimmer and it smells and tastes super yummy (very natural; not synthetic at all). If you’re looking for a creamy, moisturizing, non-sticky lip treatment that lasts all day, than this is the lip balm for you. 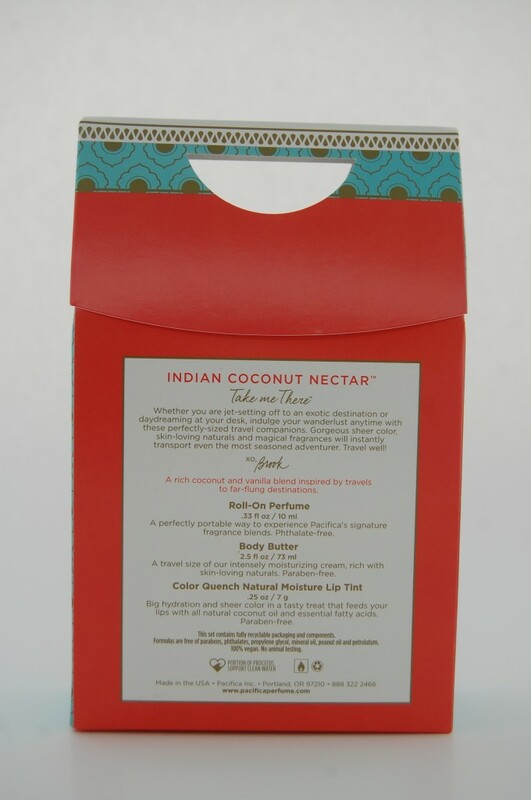 If your mouth is watering like mine, be sure to pick this Indian Coconut Nectar “Take Me There” Kit for only $18 online now, I’m sure you’ll love it as much as I do!